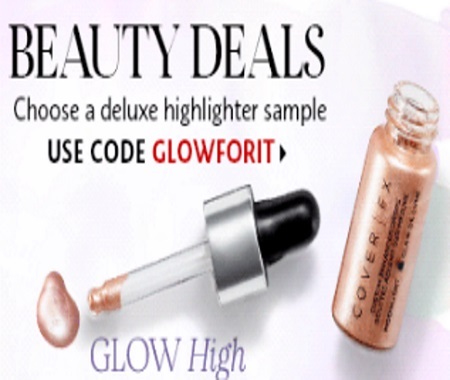 Sephora has a great new Deluxe Free Sample offer! Get a Free Highlighting Mini for a high or low glow. Choose one from two options, either the Cover Fx Moonlight Custom Enhancer drops or Urban Decay 8 hour highlighter in Sin. Enter the promo code GLOWFORIT to get this offer at checkout with any $25 online order.